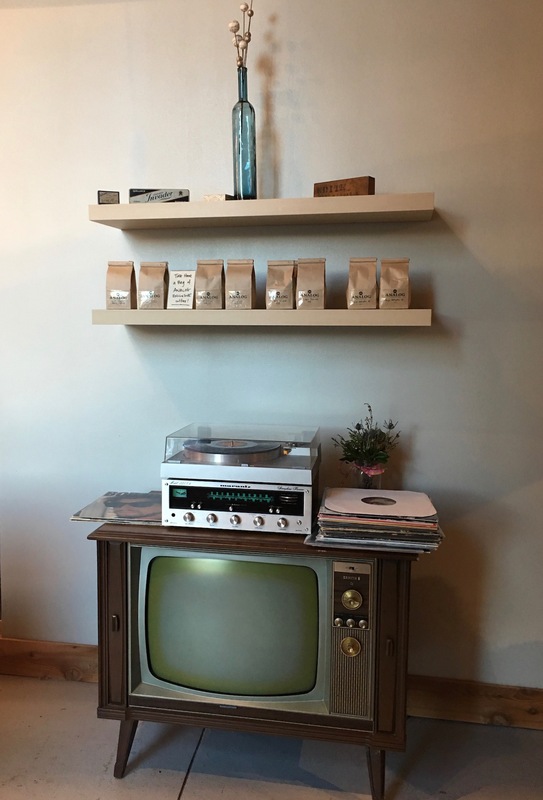 Analog Slow Bar Experience (Carabello Coffee) – Go There. Try That. It’s no secret at this point that I love coffee. I more than love coffee; I am passionate about it. I’m the sniff-the-bag-throw-caution-to-the-wind-drink-it-in-the-evening-hang-out-at-coffee-shops kind of girl. It’s also not a secret that Carabello Coffee is one of my absolute favorite coffee shops in the Cincinnati area. 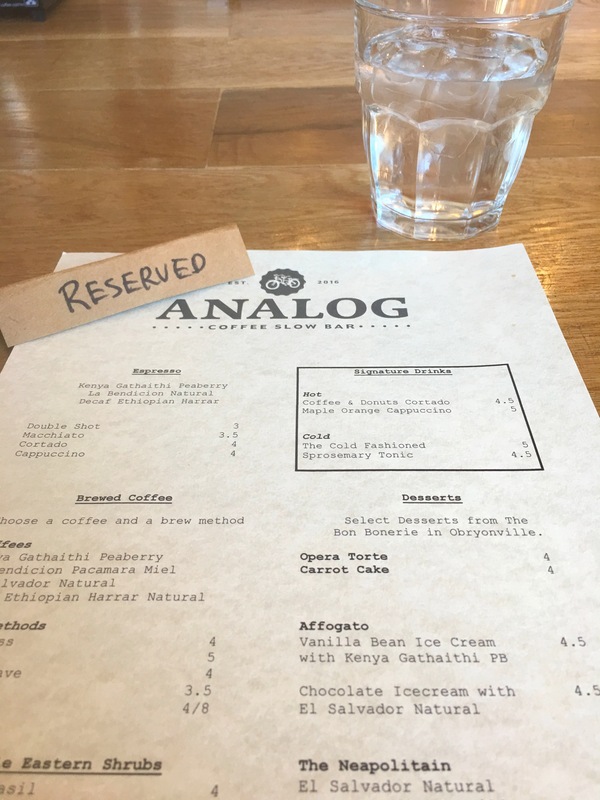 Recently I got to try their new six-seat Analog Slow Bar experience and I couldn’t wait to write about it. Our menu of choices for the evening. 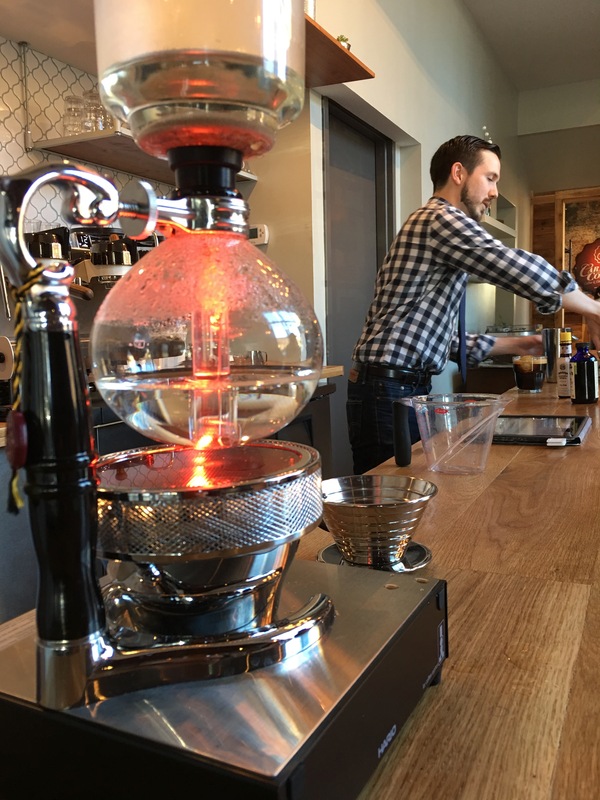 The Analog Slow Bar provides an intimate setting with a hands-on personal barista. By offering limited seating, the customer, or connoisseur, can ask questions and observe the process. The menu consists of drinks, both hot and cold, that are definitely original. In fact, the best part of this experience is trying drinks not found on the regular Carabello menu. 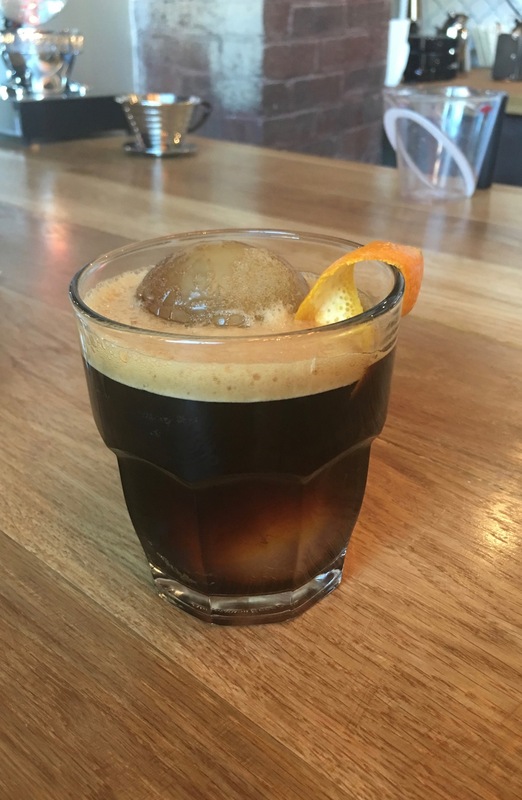 Some are sweet, some employ various brew methods, some really highlight the bean, and some are interesting takes on cocktails. Thus, this isn’t just a coffee post, but an experience post as well. Because I went with friends, we got to order quite a few beverages, sampling each of them as we went. This is the best way to do it. Otherwise, because the menu is ala cart, you may not want to order very many drinks because you will either fill up too quickly or be super jittery. And trust me, you want to try as much as possible! Another bonus of experiencing the Analog Bar with friends is that if there was a drink one person didn’t love, someone else did. Nothing was wasted. . . every single drop was consumed with pleasure. In the end, we ordered nine drinks! Split the bill and it’s easy peasy not too expensive fun. Highlighting favorites is difficult this time simply because we each had a different favorite. 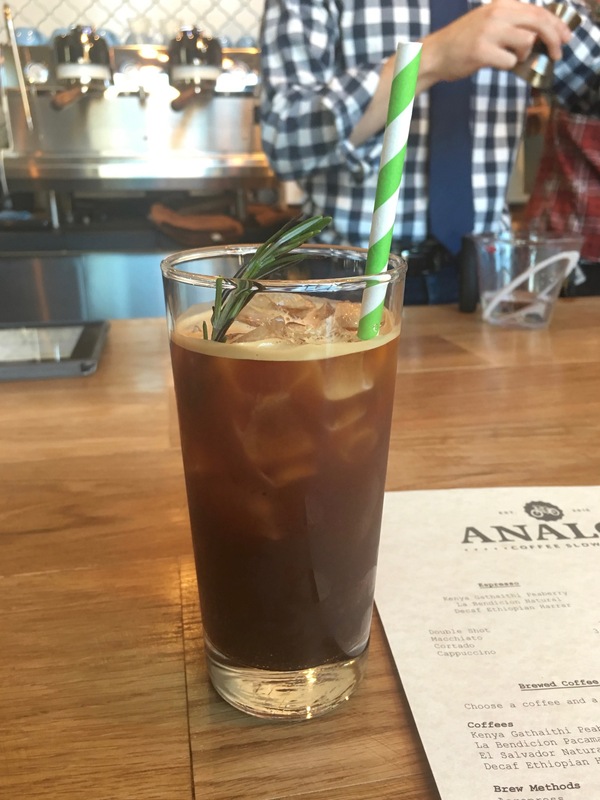 The Cold-Fashioned uses deliciously brewed cold coffee in place of bourbon and has this wonderful depth (especially if you love cold brews, which I do). 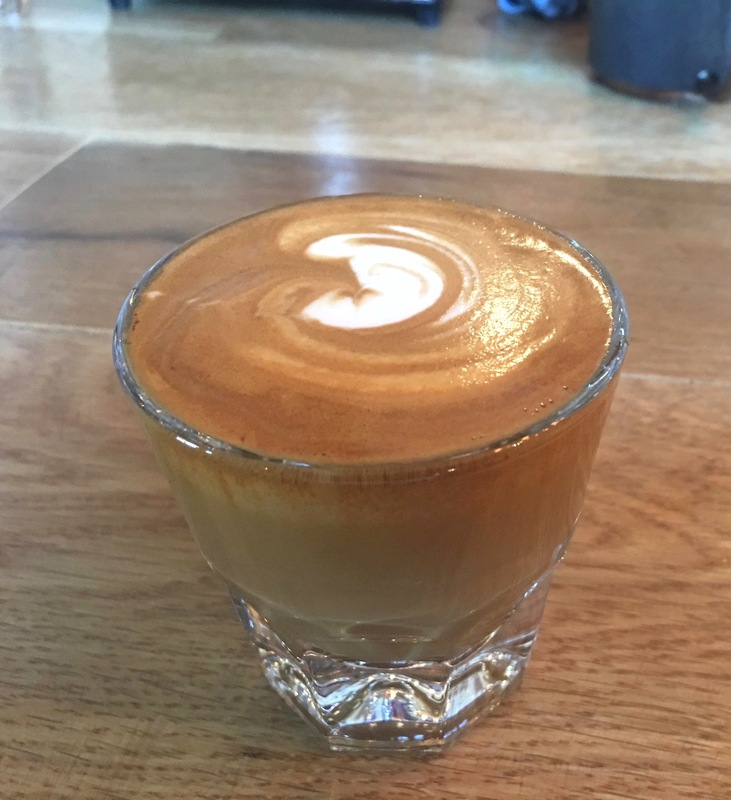 The Coffee and Donuts is a special take on a Cortado; the espresso coffee is cut with warm milk and infused with Holtman’s donuts! Yep. Donuts. 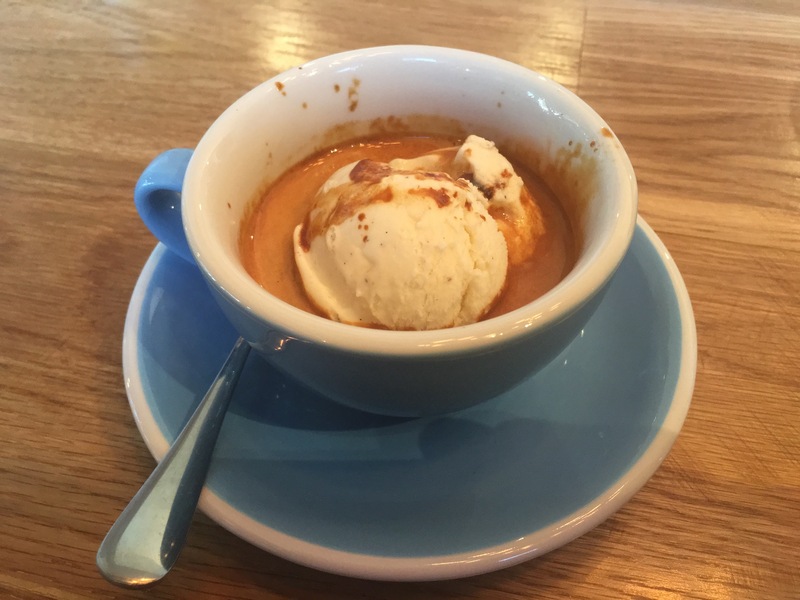 The Affogato, half coffee and half dessert, is a beautiful Kenyan Peaberry enveloping vanilla bean ice cream. Based on the recommendation of the sweet lady sitting next to me, I added the Maple and Orange Cappuccino last minute. The aroma alone is reason enough to order this one- so enticing; hands down, best cappuccino I’ve ever had. Plus, it’s a front row seat to latte art in action. 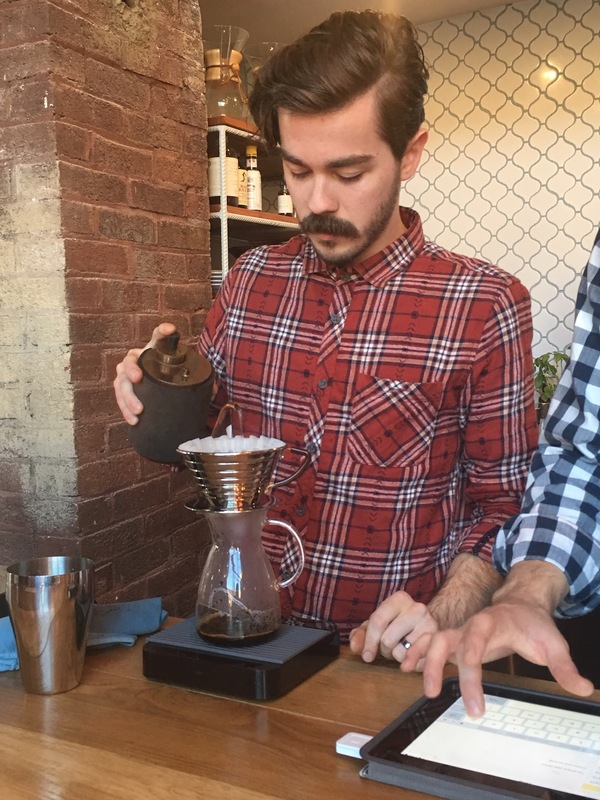 It’s also fascinating to taste the way varying brew methods changes the coffee. One of the most curious drinks of the night was not a coffee drink, but a shrub. I learned that a shrub is a drink that mixes flavored vinegar with carbonated water (and sometimes spirits). 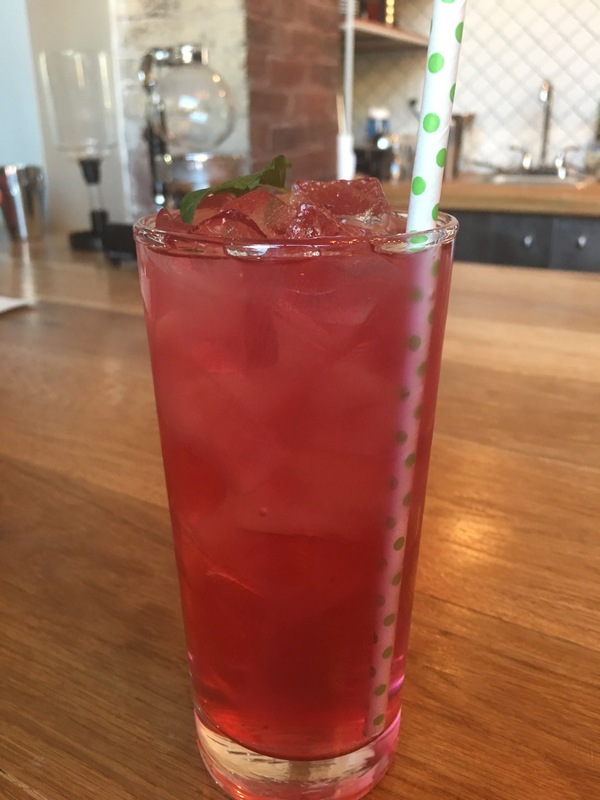 It’s kind of a cocktail soda with a fruity bite. I loved it in a weirdly delicious yet strange way. I could not quit drinking this one. My husband enjoyed keeping the music going on the turntable. 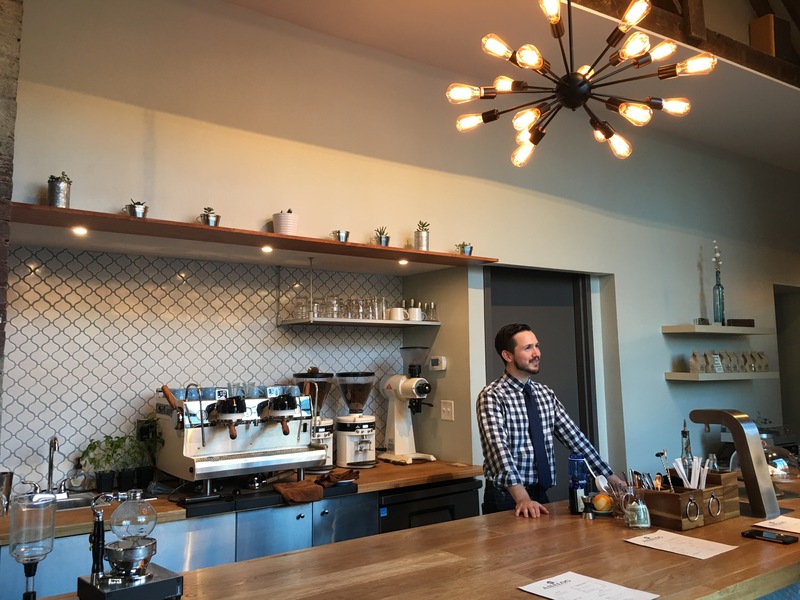 Carabello Coffee is a big-hearted business; the coffee is fair trade and farm direct . . . my dollars are not only paying for an excellent cup of joe but making a difference as well. Tip: Be sure to make a reservation for the Slow Bar. 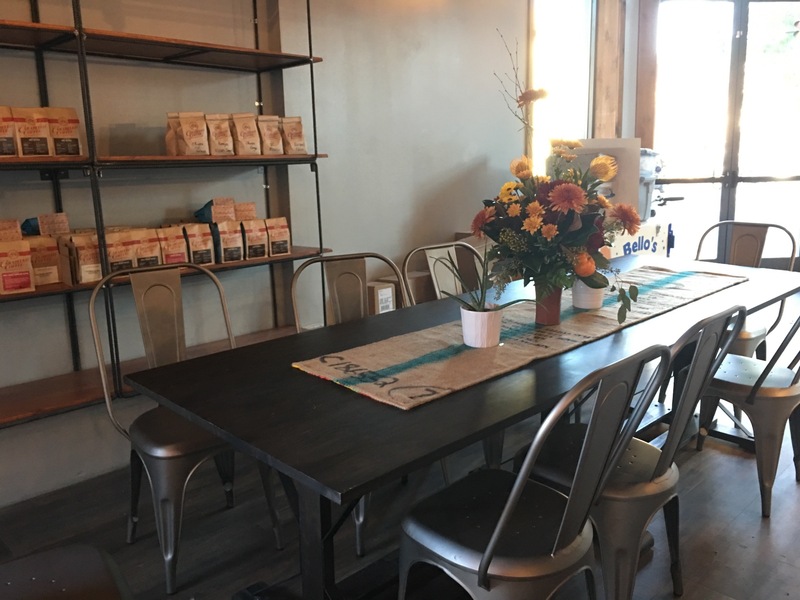 GO THERE (Carabello Coffee)! 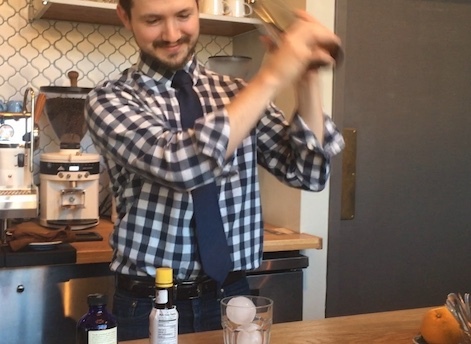 TRY THAT (Analog Slow Bar)! I love this so much and cannot wait to do this!! I’ve had my eye on that cortado for months now! I need it!! I know I would be mesmerized watching them prepare the drinks. 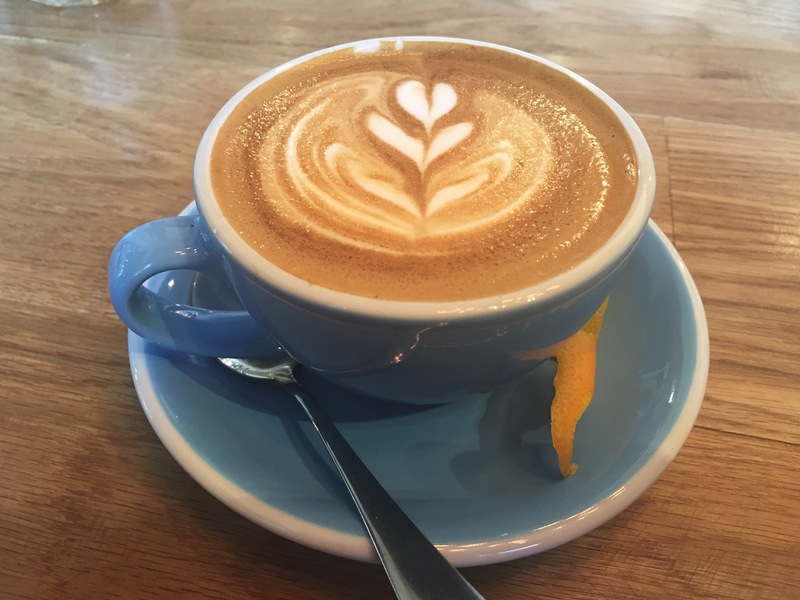 They are truly some of the nicest people who serve up some of the most delicious coffee! Can’t wait to do this! Great post! We can either babysit for you or double date! It’s such a fun experience! My dad and I had a great experience here. The space is so cozy, and we both fell in love with a variety of drinks. Will definitely return. Thanks for the recommendation!